Alfred Pisani with Ronald Attard. 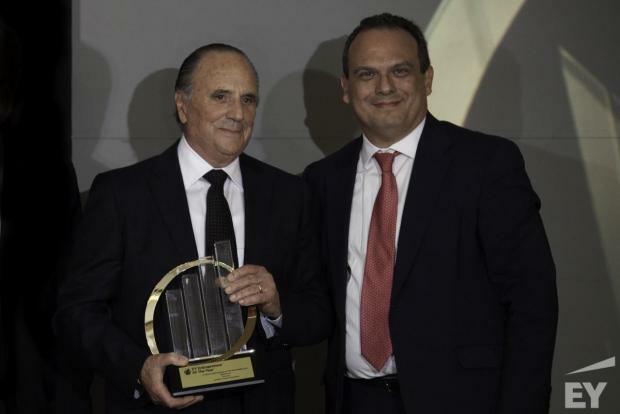 Corinthia Group chairman Alfred Pisani is the first recipient of EY's first Malta Entrepreneur of the Year award. David Vella with Ronald Attard. The accolade means Mr Pisani will be heading to compete in EY's World Entrepreneur of the Year award in Monaco in June. He will be joined by some of the world's key game changers and innovators from over 70 countries. Previous winners in Monaco have included trail-blazing entrepreneurial drivers from a wide range of fields – Amazon to Cirque du Soleil to LinkedIn. 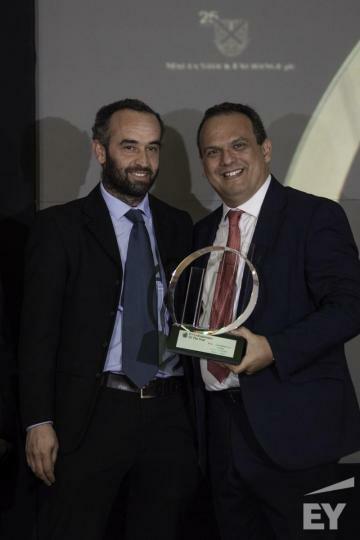 David Vella, CEO and co-Founder of Altaro Software won EY's Rising Star award. Altaro Software is a fast growing software development company, with around 15,000 clients around the globe. Commenting on this first Maltese edition of these awards, Ronald Attard, EY Malta’s Managing Partner said: “Tonight, we at EY Malta are very proud to bring this strong and globally recognised tradition to Malta. I hope that this tradition takes root and continues to flourish in the coming years. "Initially we were impressed by the interest this initiative generated. When we looked at the nominations, however, we were even more impressed – by their quality, their volume and depth of their response." The other finalists were Diane Izzo (DIZZ Group of Companies Ltd), Kristoff Zammit Ciantar (Aqubix), Shane Hunter (AquaBioTech Limited), Steven Mercieca (Dowdall Real Estate), Peter Grech (BRNDWGN Co Ltd), Andrew Mangion (EC Global Ltd) and Anton Cristina (CSL Data Services Ltd). The judging panel was chaired by Joseph A Gasan, chairman, Gasan Group with members Anton Borg, president Malta Chamber of Commerce, Enterprise and Industry, Bernie Mizzi, Director Chiswick House School and St Martin’s College, Joseph Portelli, Chairman, Malta Stock Exchange and Prof. Juanito Camilleri former university rector. University of Malta.